(2015/Sundazed) 10 tracks auf Vinyl. Das 1968er LP-Album von Gram Parson's International Submarine Band. 10 Do You Know How It Feels To Be Lonesome? A trust fund hippie, Gram Parsons, dropped out of Harvard after one semester to form the International Submarine Band—a name adapted from a 1930s Little Rascals routine, the International Silver String Submarine Band. The Subs recorded for Columbia and Ascot (was there ever a more bizarre coupling than The Russians Are Coming and Terry Fell's Truck Drivin' Man?). When the scene moved west, the Subs followed and appeared fleetingly in Peter Fonda's stoner classic, The Trip, sync'ing wildly to an Electric Flag song. Parsons was adamant that he wanted to play country music, tirelessly proselytizing on behalf of its underappreciated beauty. He landed a deal with Lee Hazlewood, who was flush with money from producing Duane Eddy and Nancy Sinatra. Soon after Hazlewood formed LHI (Lee Hazlewood Industries), his girlfriend, Suzi Jane Hokom, insisted that he sign Parsons. When Hazlewood talked to KBBQ's Bill Ward in the summer of 1967, he said that the next big thing would be longhair groups recording hard country songs. Then he tried to fulfill his own prophecy. In July 1967, the Subs went to Hollywood's Western Recorders to cut Luxury Liner. By Parsons' account, Hokom was forced upon them as producer. The Buck Owens freight-train rhythmwas almost jarringly at odds with the innate fragility of Parsons' voice. Buck's rigid application of commercial logic was missing, as well. In the unlikely event of hearing the song on the radio, the title appeared to be You Think I'm Lonesome (So Do I). Parsons' hillbilly epiphany scared off the original Submariners except guitarist John Nuese, who claimed that he was the one to convince Parsons to forsake folk music and rediscover his hillbilly roots (and in Parsons' Warner Bros. bio, he corroborates this). Parsons' former bandmate from Florida, drummer Jon Corneal, was working shows for the Wilburn Brothers when he was tempted west. Bob Buchanan had been in the New Christy Minstrels before folk singer Fred Neil introduced him to Parsons. Steel guitarist J.D. Maness worked California hillbilly bars like the Palomino and was instinctively leery of hippies, but turned up for the session fee. Another group of sessions in November with pianist Earl Ball rounded out an LP, released in March 1968. 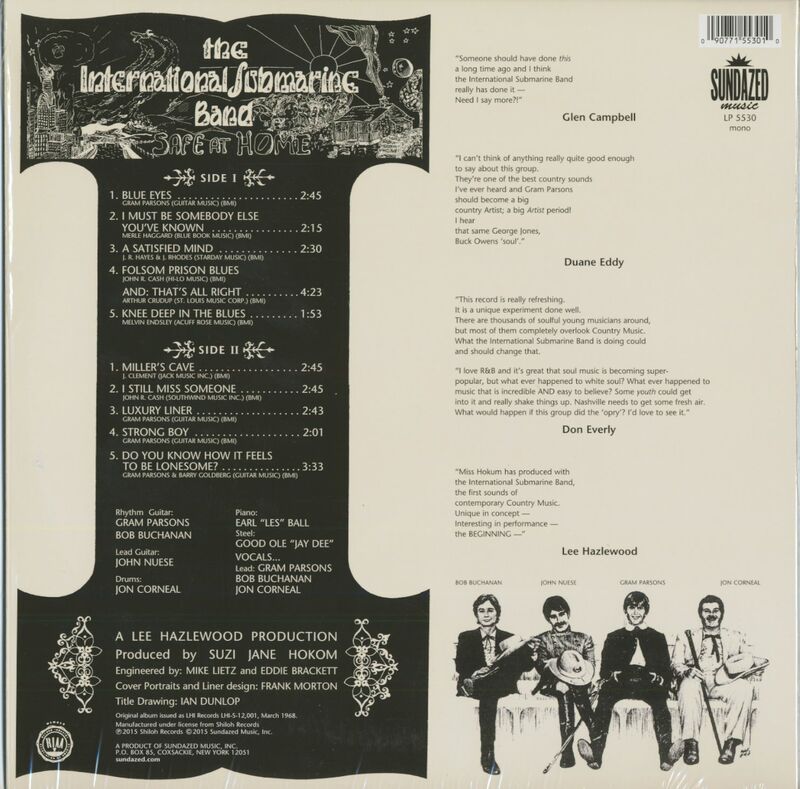 Glen Campbell, Don Everly, Duane Eddy, and Hazlewood himself wrote encomiums for the back liner. In a March 16 review, an anonymous Billboard reviewer was on the money, saying, “All one can safely say about this album is 'It's about time.' A pop group exploring country music. Every country station should give this exposure to attract young listeners.” Just as it was released, Gram Parsons joined the Byrds, scuppering whatever scant chance it had. Luxury Liner languished until 1977 when it titled a chart-topping LP by Parsons' anointed keeper-of-the-flame, Emmylou Harris. 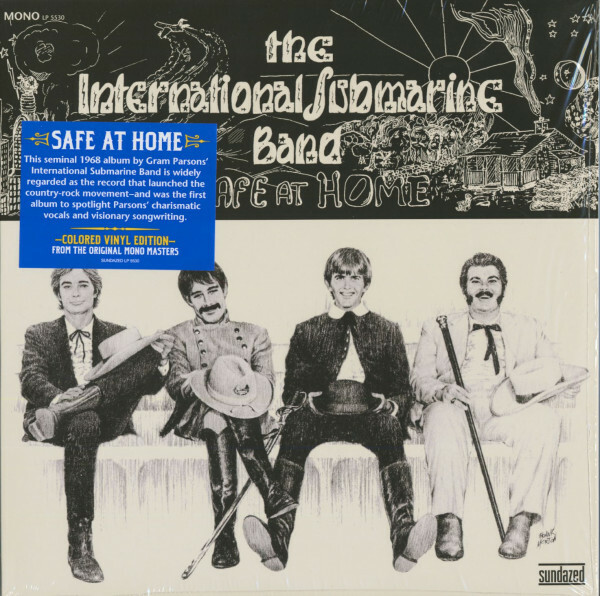 Kundenbewertungen für "Safe At Home (Mono edition, white vinyl)"